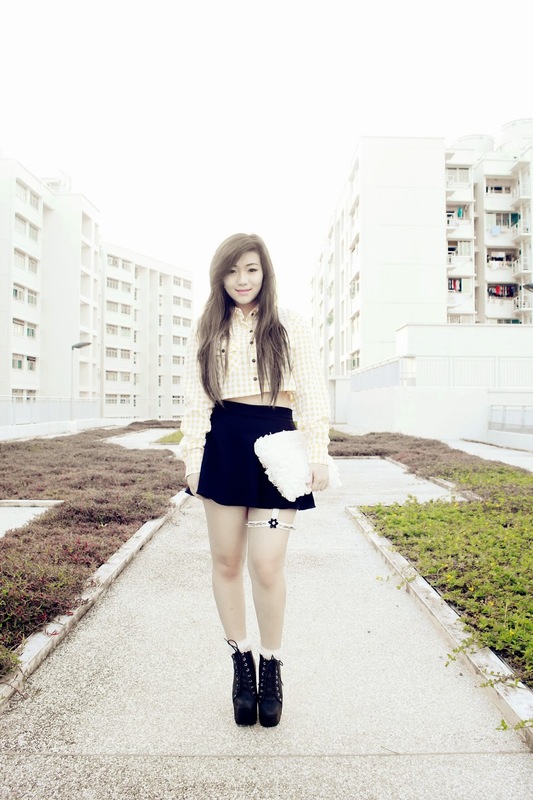 Finally managed to style my haji lane buys. Been trying out girly styles these few weeks just for a change. Decided to go simple with a simple black skirt and a textured white clutch. And you know me, I like to edge up all my outfits so I put on a spiked garter. I wanted black but was running late so I went with my good ol' white one. Plus my jc night spiked. Initially, I thought of selling these as I need the money but they're so comfy and easy to walk in I'll just keep them for myself. love the crop top and very cool garter! so cute... one of your best outfit!